This week we are delighted to launch a new collection of jewellery called Lief, which is also the old English word for "Beloved". The newly launched Lief collection has been designed by our new Creative Director Alice Cicolini, who first began working with Winterson in 2013. Alice is a successful jewellery designer, creative commissioner and producer, with her work currently being stocked at Net-A-Porter, Dover Street Market, Urban Flower Grange Hall and Colette. Her first collaborative collection with us called ‘Beau’ - a flamboyantly British range of seed pearl jewellery – is available exclusively at Winterson. In her official Winterson role, Alice will be responsible for the creative conception and product development of the classic, bridal and fine jewellery collections at Winterson. She will also establish and manage our exclusive collaborations with other up and coming British designers. Alice brings a distinctive style and influence to our jewellery that has already inspired our customers with her Beau collection, rings and earrings. We are delighted to welcome her fully to our team. The new Lief collection is based on the Winterson brand motif, which is inspired by a wild northern flower called Linnaea Borealis. This little alpine twinflower is named Carl Linnaeus, a world renowned Swedish botanist who is also believed to have been the first to culture successfully a spherical cultured pearl. 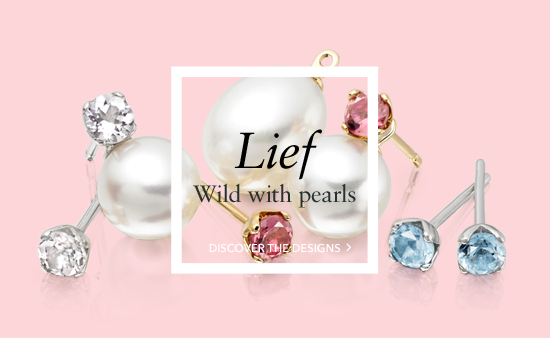 Alice's designs for Lief are an exquisite fusion of colourful gemstones and diamonds with Winterson’s signature pearls. Clever interchangeable design allows the wearer to create different looks across the collection, from everyday to the more formal. Three designs beautifully capture the essence of spring and colour and will be an exciting range of enduring classics to treasure. The new Enchanted Diamond Earrings sparkle with 36 ice clear gems and are finished in white and yellow gold. 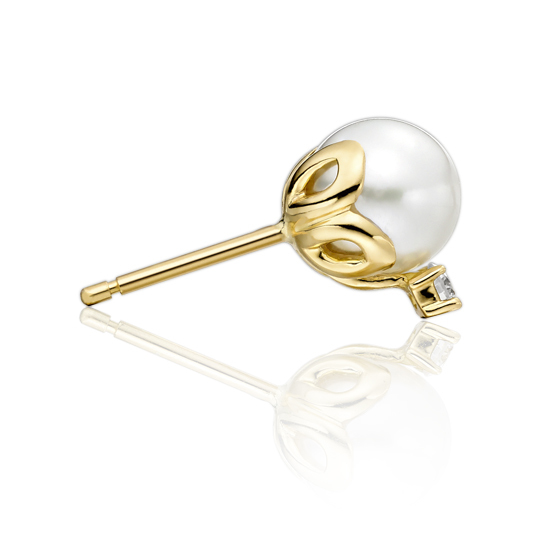 Stunning on their own, they can also be combined with a selection of our carefully chosen pearls, crafted with an 18 carat gold loop and expertly designed to fit the Lief stud earring earpost. New elegantly understated studs also join the range with a beautiful selection of gemstones to tempt, from soft Morganite and Green Beryl, to vibrant Pink Tourmaline, Aquamarine and Amethyst. 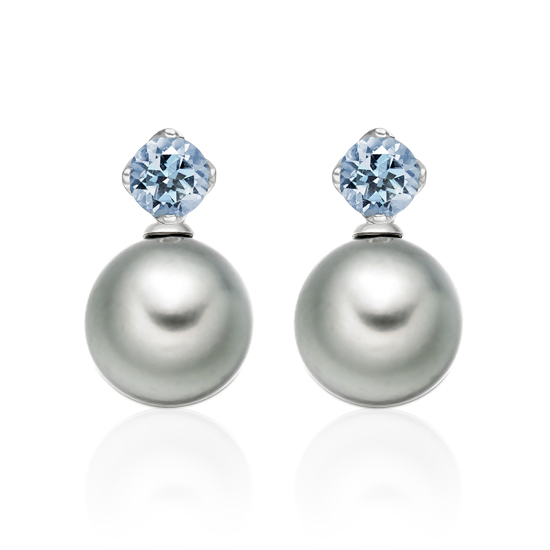 Each stud earring can be paired with white Akoya or Freshwater Drop pearls, naturally grey Tahitian pearls, or simply worn on their own. 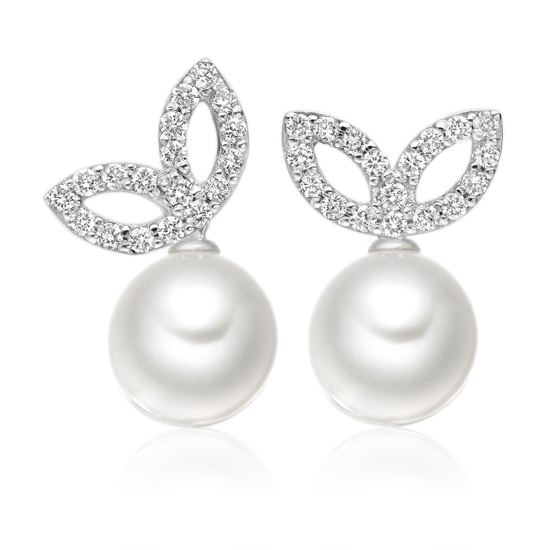 New Entwined Pearl Stud Earrings feature wild gold leaves, entwined around a pair of white Akoya pearls and adorned with two round white sparkling diamonds. Discover the Lief collection here. 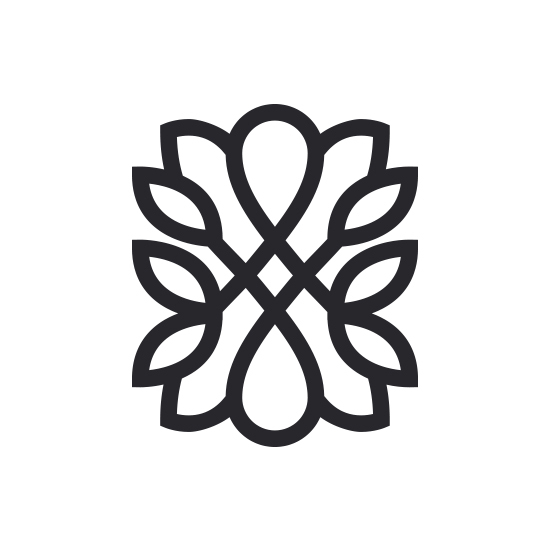 Copyright and Trademark of Winterson Ltd.